plague cases are on the rise and are afflicting countries more frequently than before. A who report says there were around 1,900 cases worldwide in 2002, which increased to 2,100 cases in 2003. In India, 16 cases of pneumonic plague were identified in Shimla, Himachal Pradesh, in 2002--after a gap of 20 years. 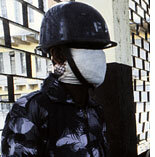 Again in 2004, India reported an outbreak of bubonic plague in a village in Uttarakhand. Three international meetings on plague were held recently in Oslo, London and Madagascar to find ways to contain the rising cases. The meetings concluded that the world should be prepared to tackle the epidemic at all times because the threat is imminent. The disease is spread through fleas that live on rodents, the natural reservoirs. Rise in human population and destruction of rodents' habitats increase chances of the spread of the disease, caused by the highly contagious bacterium Yersinia pestis. A recent study says destruction of the environment and global warming have contributed to the increase in plague cases worldwide. For instance, in Madagascar plague was restricted to the highlands until 1991. Then there were cases reported from coastal areas as well. Surveillance studies showed that the Asian shrew had picked up infected fleas from rodents. Also, as the capital Antananarivo grew, poor housing brought residents in closer contact with black rats, which were displaced by deforestation. The study picks out various examples to show climate change increases plague cases. "Recent analysis of data from Kazakhstan shows that warmer springs and wetter summers increase the prevalence of plague in its main host, the great gerbil," says the study published in the January 22 issue of PLoS Medicine. The researchers are studying the impact of climate change on plague in other areas. "Our analysis suggests climate change might lead to increase in plague in Central Asia. In the us, a climate-induced increase in plague may not happen. We are now starting work on plague data from India and will be able to predict the effect of climate change there soon," Nils Chr Stenseth told Down To Earth. He is with the Centre for Ecological and Evolutionary Synthesis, University of Oslo, Norway. 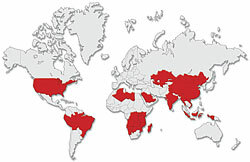 Not easy to monitor Earlier, most plague cases were found in Asia but now 90 per cent of them are reported from Africa. Although the disease is spreading, very little is known about the dynamics of plague in its natural reservoirs and about changing risks for humans. Stenseth calls for the disease to be taken much more seriously. However, there are practical problems to contain it. Surveillance, for instance. "The former Soviet Union had a very good surveillance system. With its breakdown, the monitoring programme in Central Asia weakened greatly," Stenseth said. Surveillance often falls apart because there are big gaps between epidemics. In India, plague surfaced last in 2004. Experts say when cases exist everyone works on solutions but after a point, either the funds get diverted or people lose interest. "India is prepared to identify and deal with outbreaks but the preparedness can be verified only at the time of the actual outbreak," says K K Datta, former director, nicd. Continuous surveillance is difficult because it takes long to collect samples and test them. Experts suggest finding simpler and faster diagnostic tests. In India, the surveillance responsibility is with the National Institute of Communicable Diseases (nicd), Delhi. The institute has a central plague laboratory, which coordinates the activities of plague-control units of the states. Surveillance is carried out regularly at the seven endemic states--Himachal Pradesh, Maharashtra, Gujarat, Uttarakhand, Andhra Pradesh, Tamil Nadu and Karnataka. Rodents are monitored to ensure that the flea index remains within permissible limits, along with anti-flea measures.